To be sold for charity at Christie's. Patek Philippe is only known to have made a dozen or so watches in titanium, each a unique piece, with the most recent being last year’s titanium grand complication for Only Watch. Several of those were made for a charitable cause, which is again the rationale behind the Calatrava Pilot Travel Time ref. 5524T-010 in titanium. It’s a one of a kind creation, destined to be sold at Christie’s in October 2018, with proceeds going to Geneva charity Children Action. 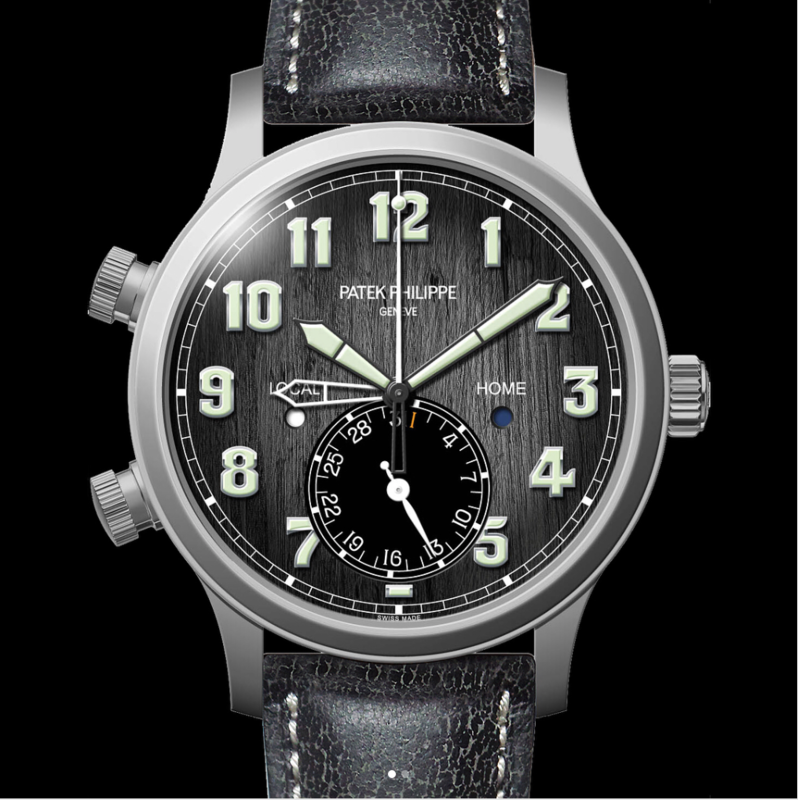 Both the case and dial are unique on the titanium Calatrava Pilot, which is the third titanium watch Patek Philippe has put together for the charity. The case is titanium with a matte finish, while the ordinary versions are polished white or rose gold. And the dark grey dial has a hand-applied, vertically brushed finish. The watch will be sold on October 15, 2018 at Christie’s Geneva. More details to come soon. Patek Philippe had a big surprise in store for Baselworld, unveiling the Calatrava Pilot Travel Time Ref. 5524, a dual time watch styled like an aviator's timepiece of sorts that has taken the watch world by storm.